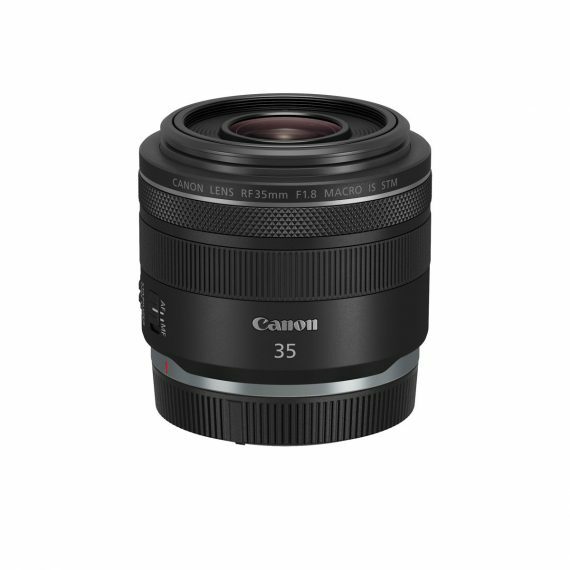 Canon RF 35mm f/1.8 Macro IS STM | Beau Photo Supplies Inc.
A wide-angle macro lens, the RF 35mm F1.8 Macro IS STM opens a broad level of imaginative new possibilities for photographers and moviemakers looking for a compact and versatile lens. Designed for use with the EOS R camera, it packs a large 54mm diameter for high image quality in a compact and lightweight form that’s easy to bring around. A 0.5x magnification ratio and a close focusing distance of 0.56 ft./0.17m enable flexible macro photography that’s powered by up to 5 stops* of image stabilization for confident use handheld. The RF 35mm F1.8 Macro IS STM is an ideal and lightweight companion capable of high-quality, creative photos and video anywhere, anytime.